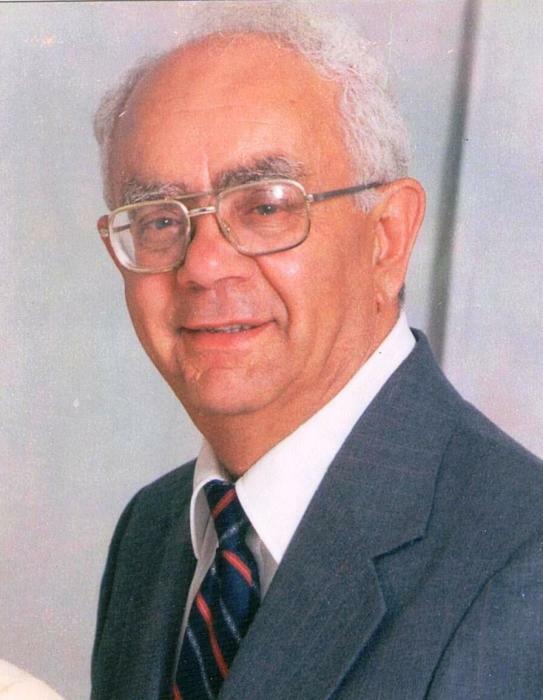 Obituary for Benjamin Soares Almeida | George C. Lima Funeral Home, Inc.
Benjamin Soares Almeida, 89, of Mason Avenue passed away on August 25, 2018 at the Rhode Island Veterans Home. He was the husband of Rita (Perry) Almeida. Born in Somerset, Massachusetts, he was the son of the late Augusto Soares Almeida and Evarista (Calisto) Almeida. He was the father of Ann Marie Clarkson of Bristol and Anthony R. Almeida of Barrington: grandfather of Tyler Almeida, Bryan Clarkson, Bradley Clarkson, Benjamin Clarkson, Bret Clarkson; and great grandfather of August Clarkson, Zoe Clarkson, Charlotte Clarkson and Dexter Clarkson. He was the brother of Joseph (Mary Lou) Almeida, Gilbert (Madelyn) Almeida and the late Arthur (Phyllis) Almeida, Edward (Mary) Almeida, August Almeida, Mary Soares and Theresa Lopes. He will also be remembered as the loving uncle of many nieces and nephews. Mr. Almeida was educated in Bristol and served in the Army during World War II. He was then employed by Kaiser Aluminum and Applied Plastics before retiring. Family and friends are invited to attend a Mass of Christian Burial 11 AM, at St. Elizabeth’s Church 577 Wood Street on Wednesday, August 29th on what would have been Benjamin’s 90th birthday. Burial will follow in St. Mary’s Cemetery. In lieu of flowers, memorial donations may be made to: St. Elizabeth’s Church, 577 Wood Street, Bristol RI 02809 or RI Veterans Home Family Council, 480 Metacom Avenue, Bristol RI 02809.